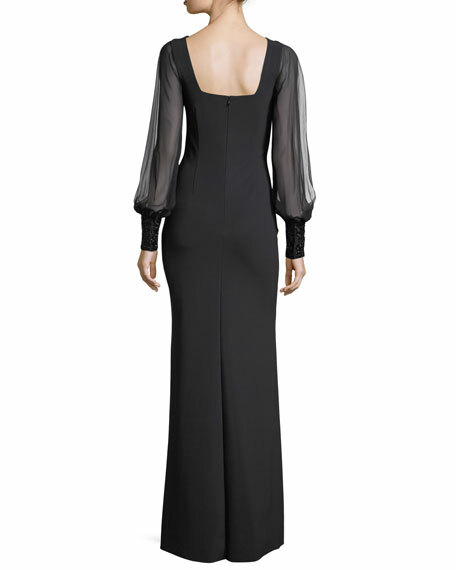 Rickie Freeman for Teri Jon scuba evening gown. Approx. 63"L from shoulders to hem. Long chiffon sleeves; beaded cuffs. 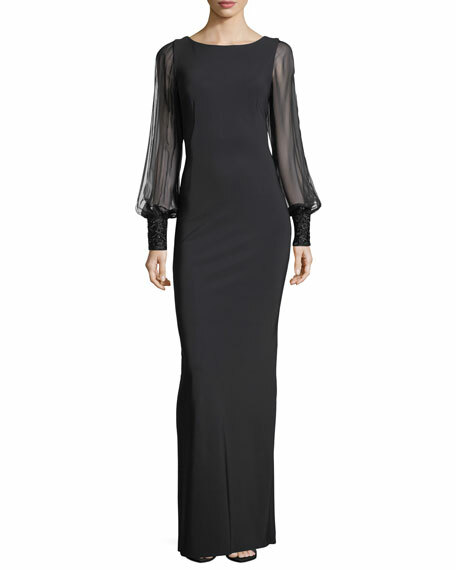 Gowns and dresses in the Rickie Freeman for Teri Jon collection feature feminine silhouettes and luxurious fabrics. Designer and CEO Rickie Freeman ups the glamour quotient with detailed embellishments that make each style distinctive. For in-store inquiries, use sku #2325168.